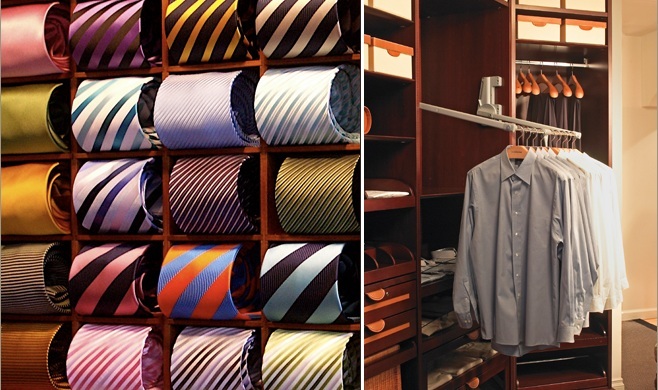 One of my favorite luxury rooms is an insane closet! I love being able to have plenty of room for clothing storage, enough room for my shoes, and organized drawers for accessories! 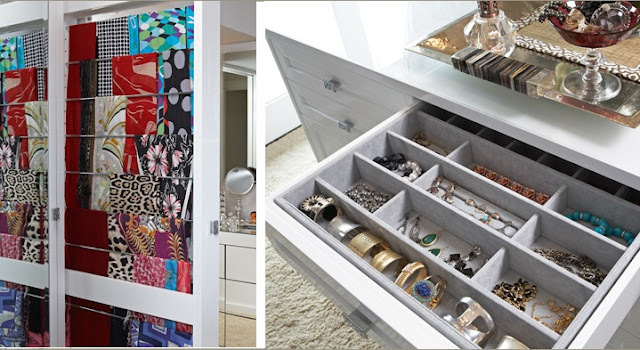 LA based closet designer, Lisa Adams takes customized wardrobe spaces to another level with her firm LA Closet Design. 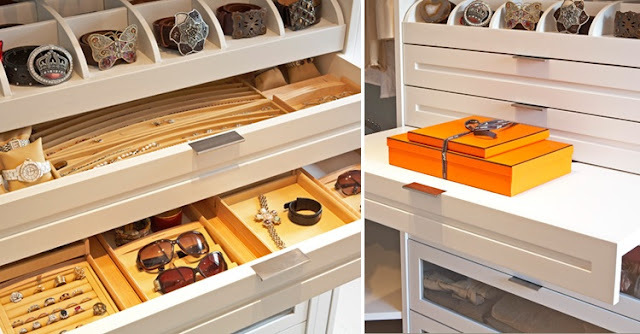 This former chemistry major at UC Berkley refocused her "scientific, neat, left brain" to closet design which leads her to focus her attention to amazing detail such as lighted hanging rods, built in tie cubbies, watch winders, flat screen tvs that turn to mirrors when not in use, pull out packing table, and even a stylish laundry nook inside the closet and a coffee station! She really does amazing work! There is nothing better than all these amazing shoes to be displayed appropriately in a glam boutique style closet setting. 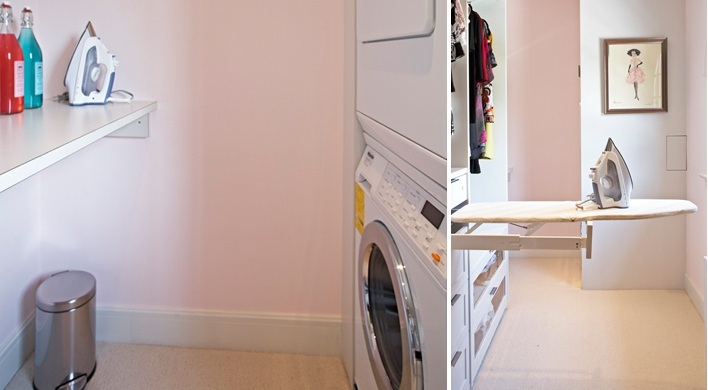 White glam closet corner clothing carousel, hanging boot trees, and fold out packing table, and best of all the integrated laundry center in the back! Closer up view of the laundry center that is at the end of the closet! Amazing! Feminine closet by the bathroom with tv on island, mirrored doors, and deep drawers with glass fronts. Pull out packing table, angled shoe shelves, pull out shelves and drawers with glass fronts. Whimsy feminine closet with shoe carousel, painted back panels, swing rod, and an island. 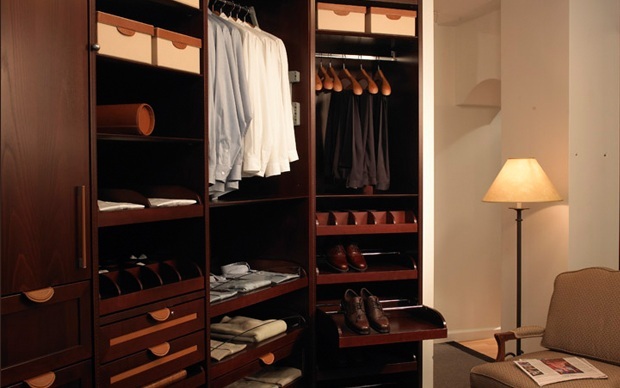 Gentlemen's closet complete with leather handle pulls, pull out shoe shelf, pull out tie shelf and best of all a coffee maker station and refrigerator! Dark Mahogany closet with pull out shelves and valet hook and swing rod. The ultimate bachelor closet complete with lighted hanging rods and shelves, back lit shoes display, hanging tie rack and custom Ferragamo pulls. 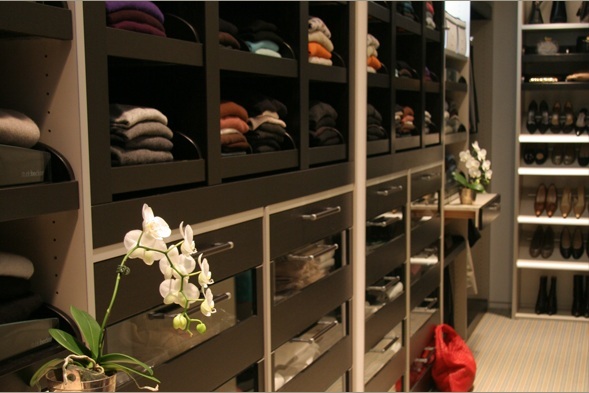 Boutique closet with lighted shoe cubes, and lighted hanging rods. Custom drawer inserts for sunglasses, wallets, belts, etc. Built in tie cubbies and swing rod in action. 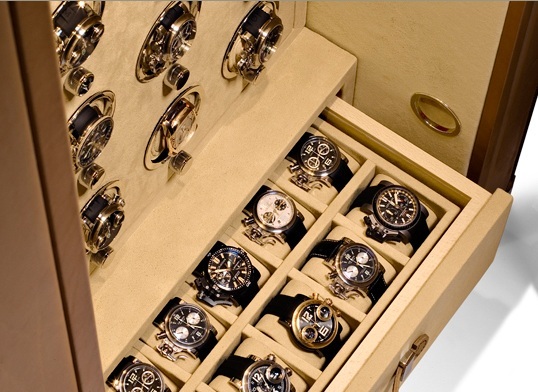 Lisa uses the German luxury safes by Doettling to safely secure, store and wind your watches. Lisa Adams, the beautiful and talented closet designer! Wow I cannot even imagine. 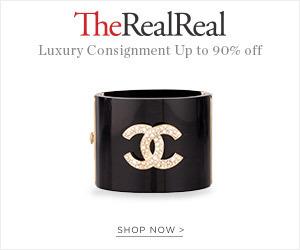 I think that watch collection is worth more than my house. oh my godddddd! 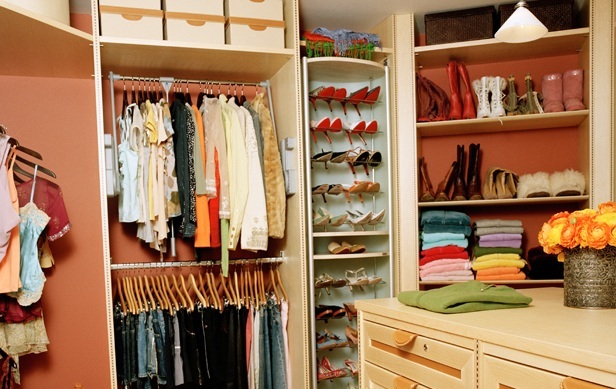 i may serious closet envy! <3! the first images...shoe heaven! I'm a guy and all I want from closet is a happy wife. One thing about these huge open display closets is dust. How the pros manage that? Wow Lisa is so talented! And I can't believe she was going to be a chemical engineer - ahh my hero! 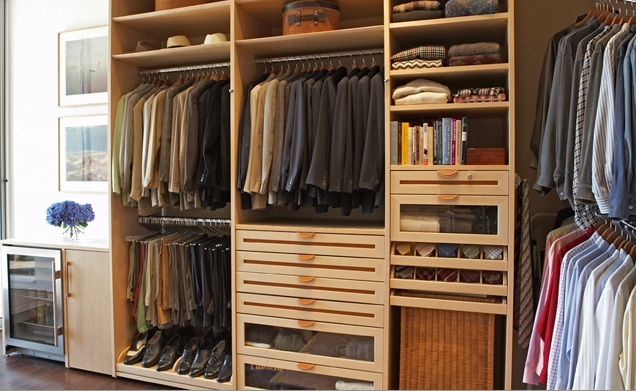 Love love the idea of a custom closet! so incredibly organized. I think I would live inside mine. What amazing closets and a talented designer. 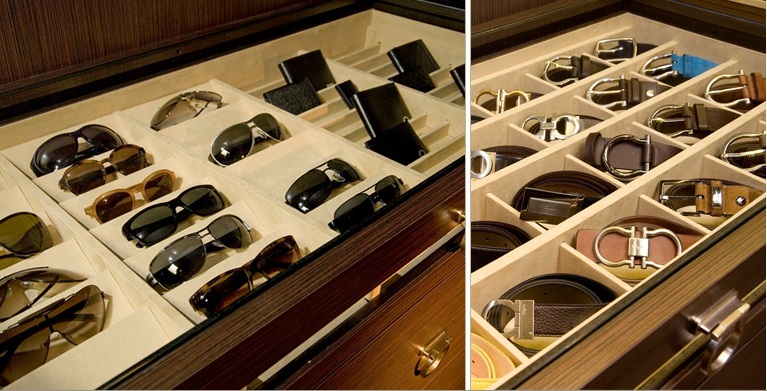 I love tie cubbies that look adorable and watches safety storage which is fabulous. Thanks for sharing this great post. Wow.. this home like a heaven!! Every room seems perfect!!! Thank you for sharing this, I love them!